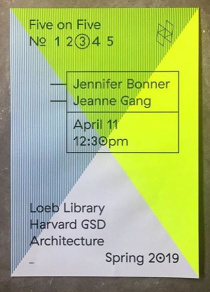 “Jeanne has a history with Lexington and the College, and Studio Gang has been an integral part of our important work in the Portland neighborhood of Louisville,” said University of Kentucky College of Design Dean Mitzi Vernon. “With her broad portfolio of work, she understands community engagement, adaptive reuse, and as we look at the Reynolds Building, we consider the district and Lexington’s University City status, anticipating the critical role Jeanne will play in that evolution." 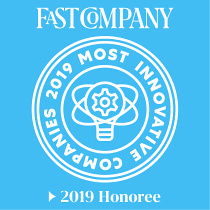 Jeanne Gang named among 100 most influential people of 2019 by TIME Magazine. 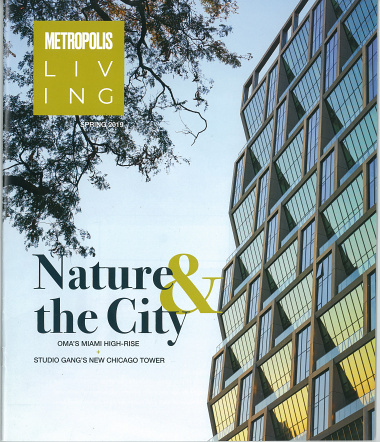 "Solstice on the Park, the new Studio Gang–designed rental apartment tower in Chicago’s Hyde Park neighborhood, doesn’t want for inspiration." 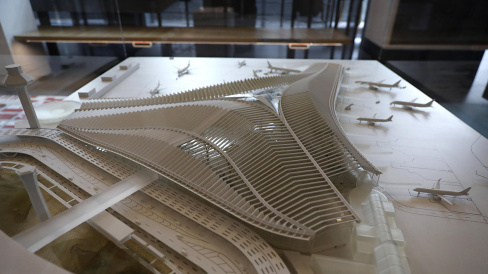 Chicago Tribune — "O’Hare expansion set to take off under hometown architect Jeanne Gang"
"We like the idea that someone with deep local roots is creating the city’s next-level link to the world. We’re counting on Gang to lift the O’Hare experience to new heights." 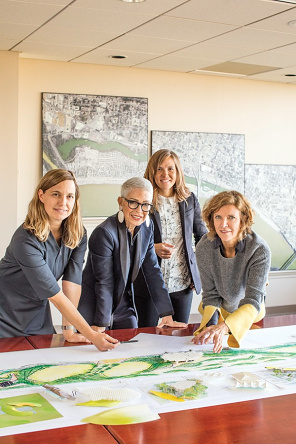 The Architect's Newspaper — "Making Money as an Architect is Majorly Affected by Where You Work"
"Last summer, Jeanne Gang revealed she had closed the pay gap at Studio Gang, becoming the first firm in the country to do so. As Gang pointed out...the pay gap is one of architecture’s greatest injustices and diversity in design isn’t just about filling a quota with different faces of different colors in a single office. It’s about recognizing the value that architects of all backgrounds bring to the table, and compensating them appropriately." The University of Kentucky College of Design announced Studio Gang as one of six finalists in consideration for National Design Architect for the adaptive reuse of the Reynolds Building. Jeanne Gang to receive one of Brownstoner's 2019 RADD awards, which honor leaders in Brooklyn real estate, architecture, design, and development. Commercial Appeal — "Redesign of Tom Lee Park in Memphis lives up to its namesake"
"We’re creating something that’s worthy of a 200-year-old city growing to embrace inclusivity, ambition, equality and change. Tom Lee did a noble deed. Let’s do another one by giving generations of Memphians a world-class riverfront park that can enrich them every single day." 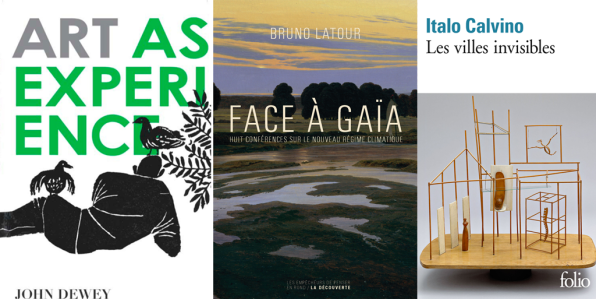 l'Architecture d'Aujourd'hui — "dans la bibliothèque de Jeanne Gang"
In a new series for the French architecture publication, Jeanne shares a selection of her favorite books. WTTW — "Artists, Architects Reimagine the Possibilities of Design in ‘Dimensions of Citizenship’"
"All of these hundreds of cobblestones that came from Memphis, then to Venice, now here to Chicago, are weighted. They’re weighted with history ... it’s about bringing sort of a renewed interest into this material object." Dezeen — "'Show respect to women in your workforce' says Jeanne Gang"
"Change isn't happening fast enough for women in architecture says Jeanne Gang, who suggests that all firms should be set a target to close their gender pay gap." 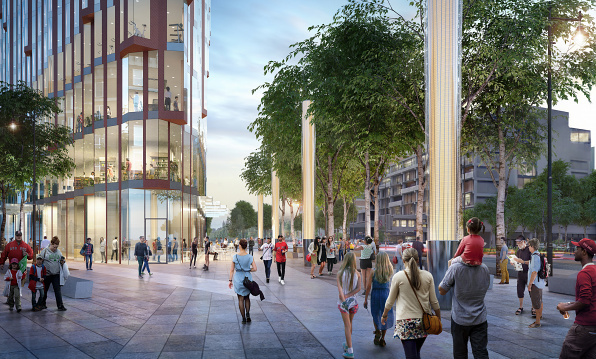 Memphis Magazine — "Revising the Riverfront"
The Studio Gang team in Memphis is led by Gia Biagi, whose title is principal of urbanism and civic impact at the firm, and who, Coletta says, knows as much as anyone about the Memphis riverfront. Architectural Digest — "This Studio Gang Hotel Could Transform Boston's Skyline"
"An intelligent and ambitious proposal...could become a vibrant example of how the city can maximize the built environment to accommodate growing populations, transportation, and human health." 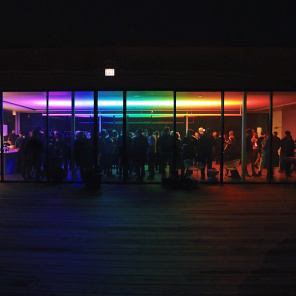 Windy City Times — "AIA Chicago starts LGBTQI+ alliance with reception"
Studio Gang hosted AIA Chicago's launch of an LGBTQI+ alliance with a reception on our Chicago rooftop. 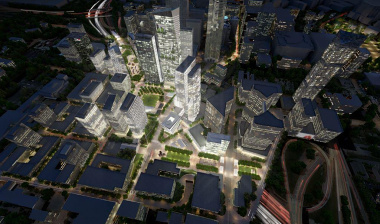 Atlanta Agent — "What ‘The Stitch’ needs, according to land use experts"
Principal of Urbanism and Civic Impact Gia Biagi participated in presentation advocating for a $400 million development in Atlanta known as "The Stitch" as a member of the Urban Land Institute’s Technical Advisory Panel. Architecture AU — "Jeanne Gang joins Parramatta Powerhouse jury"
Jeanne joins the jury for an international competition for a new Powerhouse Precinct at Paramatta in Australia. 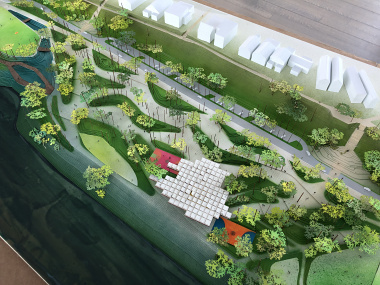 The proposed Powerhouse Precinct will comprise a new building to house a “24-hour” museum on the banks of the Parramatta River as well as a public space and a pedestrian bridge. The Studio was ranked fifth in the Architecture category.